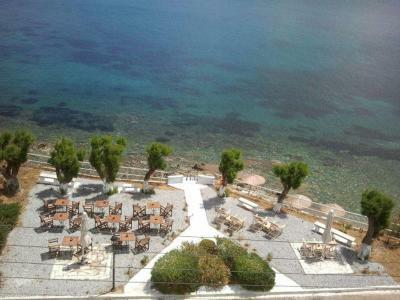 Lock in a great price for Agali Bay Hotel – rated 8.9 by recent guests! Good location and good value for money. Nice breakfast and friendly staff. 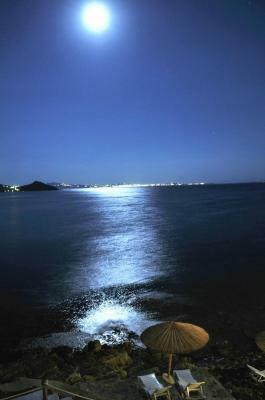 Very warm, friendly and helpful staff, clean room, quiet and easily accessible location, great view. Everything a traveller is looking for. The two sister were very friendly and helpfull. They made our stay fantastic. Very good and rich breakfast! 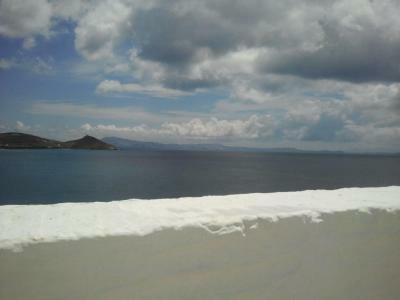 And on the best location in Tinos with a view on Mykonos. 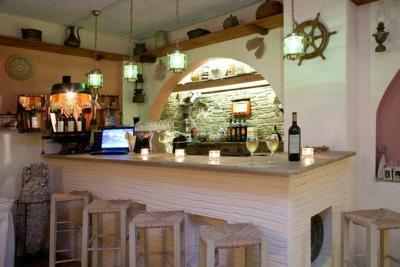 Short walk to the centre of Tinos where you can find restaurants bars and also near the beach. If you cycle 5 minutes you are on a beautiful beach with seats and umbrellas. Our stay was beginning of June. The staff were great from the moment we got there. The Service was exceptional and they helped us out. We thought we were the only ones there but found at breakfast that there were several couples and two families. The hotel was quiet during the night and the room included air conditioning and tv, as well as a good internet signal. This was a godsend during the hot afternoons when we had our siesta. Although the hotel is older it was well maintained and clean and I include the linens, towels and our room as well as the general areas. Location was good. 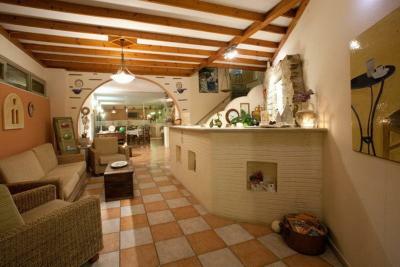 Close to a beach and a five minute walk to the main town. We liked having breakfast in the hotel and then heading out. Breakfast selection at buffet was ok; again typical of what you would find on other islands. Coffee was good. Was good value for the price. If you are expecting high end, this is not the one. But for the budget traveler is a great deal. 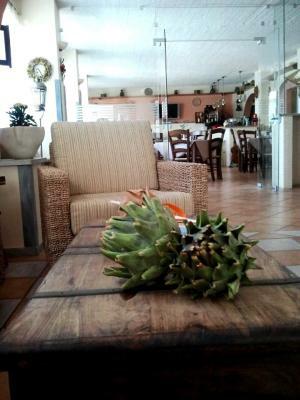 Perfect stay, from the pick up at the port, the warm welcome, the spacious room, the balcony looking out over Agali Bay to the breakfast that you can take out to the lounge or the sitting area over the shore. 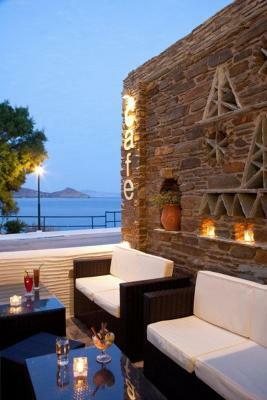 A perfect hotel on a quiet spot in Tinos town. We had a splendid view from our spacious balcony. Very friendly staff. Very clean room and bathroom. Breakfast was very good and lot to choose. For us an absolute must to stay. 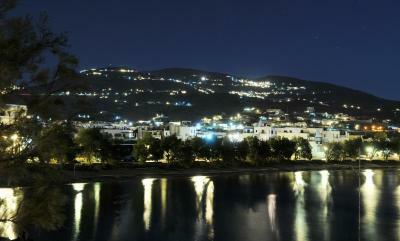 When we return to Tinos we will sure book Agali Bay Hotel again. 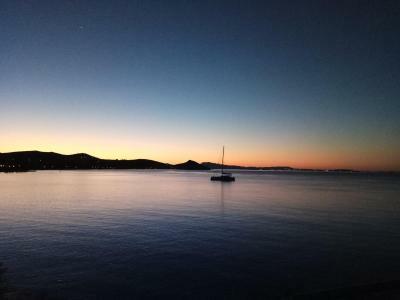 One of our top picks in Tinos.Just 30 feet from the sea, with an endless view of Agios Fokas beach, Agali Bay Hotel is located at the most beautiful spot of Chora in Tinos , only 10 minutes walking distance from the port. 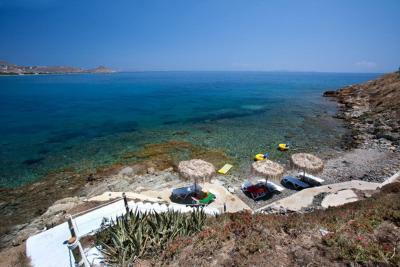 The hotel offers free transfer from the port of Tinos upon request. Wi-Fi is free in public hotel areas. 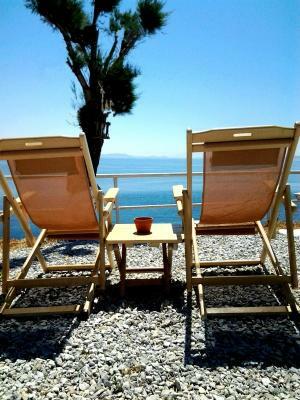 Each functional and clean guest room has private balcony with view of the Aegean Sea. All air-conditioned rooms have private bathroom, TV, refrigerator and telephone. Buffet breakfast is served in the café, and the snack bar serves refreshments and drinks between 8:00 and 23:30. Tourist information is provided at the reception. Car rental service is also available. 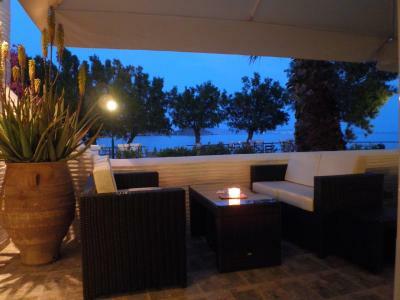 When would you like to stay at Agali Bay Hotel? Featuring a balcony with views of the Aegean Sea, this air-conditioned room offers a TV, mini fridge and a private bathroom. 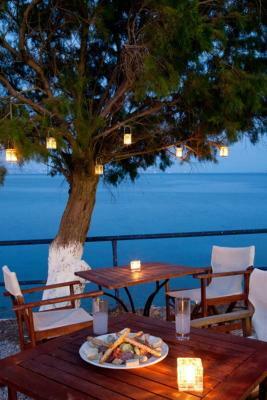 Featuring a furnished balcony with views of the Aegean Sea, this room type consists of 2 separate bedrooms. It offers 2 LCD TVs, mini fridge and air conditioning. 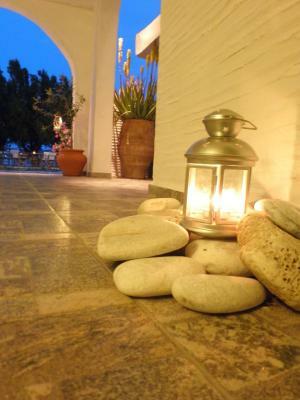 House Rules Agali Bay Hotel takes special requests – add in the next step! Agali Bay Hotel accepts these cards and reserves the right to temporarily hold an amount prior to arrival. Kindly note that a free shuttle service is provided only upon arrival and upon prior request. Small room. Just a detail: the curtain in the shower is not covering enough to avoid spillage on the floor. Saw 1 living cockroach in the stair, not a big deal. Nice personnel, very attentive. Nice complete breakfast included. Great view from our room at 3rd floor. 10 minutes walk from the ferries and center. Very friendly reception! We had a last minute check in but didn't even had to wait for the room to be prepared. The beds were comfortable and the view from our room was a great. Breakfast was also fantastic! Bathroom was small but this is typical. Beach not sandy but water clean. A short walk from the hotel. No safes in rooms for valuables. The hotel is family owned and run. They do their own cooking including flaky pastry spinach tart for breakfast, and couldn't be more helpful generally.